For the Under the Sea themed toddler storytime, I was lucky enough to receive a themed box from our big central library. I greeted the kids with a cute octopus toy that made duck noises whenever it was squeezed. Too cute! And the kids seemed to like it too! Reaction: I sang this whole song to the kids even though I forgot the tune for some parts of it. Whoops! Regardless, the kids really loved the pictures, and helped me count the creatures on the pages. Song: Shake Senora by Harry Belafonte Jr. Reaction: I gave the kids some shakers so they can shake their wiggles out. I love this song but it wasn't such a successful addition to my storytime repertoire because the song didn't have a set structure for the kids to follow. Usually, I would tell the kids to clap their hands, stomp their feet, etc., but this one was just a free-dance song. I thought it would be okay, but the toddlers looked lost. They tried following my movements, but I didn't really have any set movements either. For next time, if I use this song again, I will have some set movements for the kids to do. Also, I had prepared the Slippery Fish song for this slot, but completely forgot about it, so you can use that song instead of the one I used. Check out JBrary's awesome version of the actions used in the song. Reaction: this was a very simple story, and each time one of the fishes escaped from its predator, I asked the kids if each fish would be able to fit through the porthole, net, etc. I think the kids enjoyed shouting out their answers. This craft uses clip art from several sources. I just asked our awesome volunteers to cut the sea animal shapes. 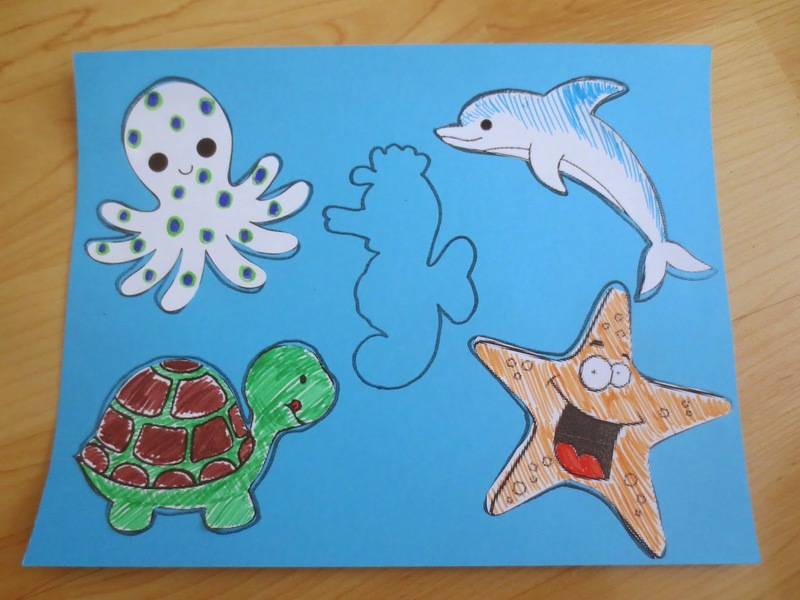 Each toddler received a set of five sea animals and a blue card stock sheet with the outlines of each sea animal on the page. 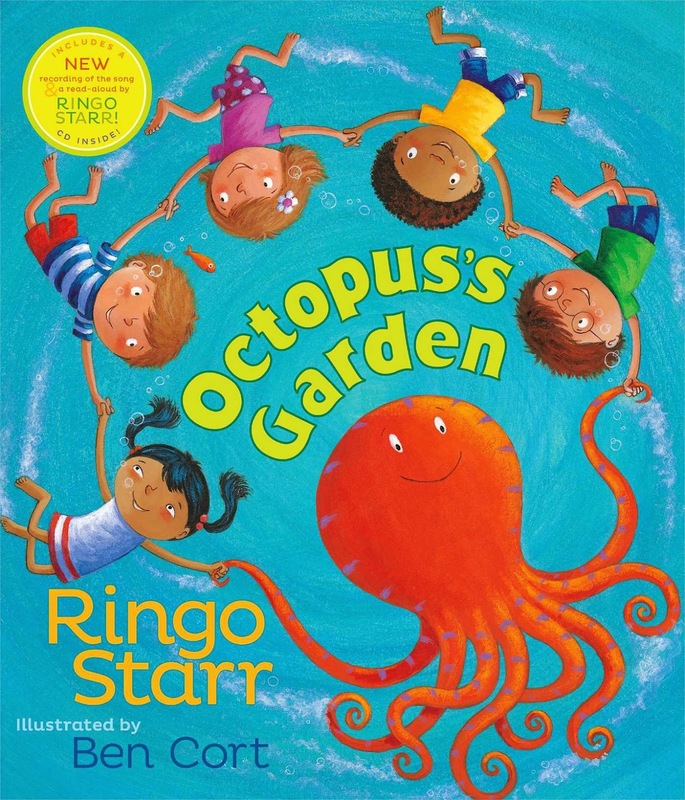 First, the toddlers and their parents matched and glued each sea animal to its outline on the blue sheet, and then coloured each animal.